Everybody has them. Some people excel in mathematics, others in science, others in the realm of technology. There are many people who have several things in which they really excel. For almost everyone there is at least one area of school or life or both that challenges them. For my oldest daughter, Victoria, this is algebra. That girl could read at four years old and had poetry published by ten. Math, however, has made her cry on more than one occasion. She’s so incredibly smart that I have no idea what she’ll do in life because she could do anything except be a mathematician. For my second oldest, Lillian, reading was her struggle. Diagnosed with a phonological processing disorder in third grade, it took her longer for her to learn to read and her confidence took a hit because of it. Years later, she reads like a pro, but her confidence still affects her willingness to do it. Her strength is that there is not anything that she can’t figure out and make happen. My third daughter, Olivia, is a unique story. At the age of one, we had confirmed what I had long suspected…she had a brain abnormality. She has colpocephaly. It is extremely rare with only about 40 documented cases. We were told that since so few people have it that they had no idea what her life or her challenges would be. Today, she has begun to read and finally grasp the concept of numbers. She has the most incredible memory of any person I have ever seen. She can tell you what she did on a particular day down to what she had to drink. Then there is Eva. She is a math whiz but also struggles to read. She is the truest example of a dyslexic that I’ve ever encountered. She learns best through listening and has a great memory too. She is good at history and loves science. She loves people and it shines through her daily encounters with those she meets. As a homechool parent, I struggle with knowing if I’m doing the best thing for these children. There are days that I feel like I fail and other days where I feel triumphant. Truthfully, when I did student teaching in college I felt the same way, but they weren’t MY kids. One of the best things about homeschooling is being able to let each child move on where they are doing well and stay and continue to practice where they are not doing well. That’s why at my house we don’t focus on what grade something is; but rather if it is the appropriate level for that particular child. I have tried SO MANY things to help my struggling readers. There are two that have made the biggest difference. Years ago, when Lillian was struggling with reading we hired a tutor. She used a program called Academic Associates. Within a year she was reading well. It was incredible. We still use the binder with my two younger girls. “Our Reading Program uses the 44 sounds of English. 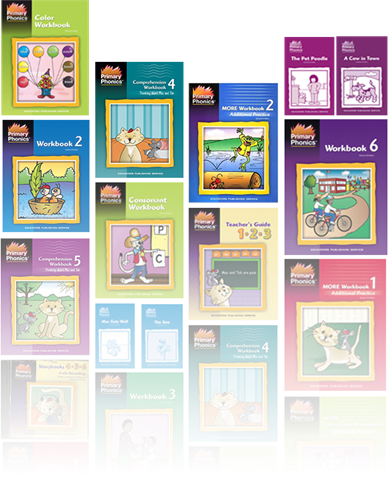 The Academic Associates Reading Program provides students of all ages the “tools” that unlock the million words of English. Amazingly, non-readers can be reading over 300 words within 3 hours! Most students complete the program in fewer than 50 hours. They will gain 2 to 4 grades during this time. The thing that has helped my younger two girls has been Primary Phonics. It works very slowly through the sounds of the letters and the blends. I’ve ordered the books from Ebay and Amazon. They may even be available at some used bookstores or education stores as well. The progress I’ve seen since using this has been impressive. I’m excited to see what lies ahead for these girls. Our challenges don’t define us but refine us. They have more empathy for others because of what they see and experience. They learn that if you want something, sometimes it requires MORE….More time, more effort, more work; but it’s all worth it in the end. Life would be boring if there weren’t any challenges.